Comparing version 16:38, 17 Aug 2018 by patrics with version 16:52, 12 Oct 2018 by patrics. 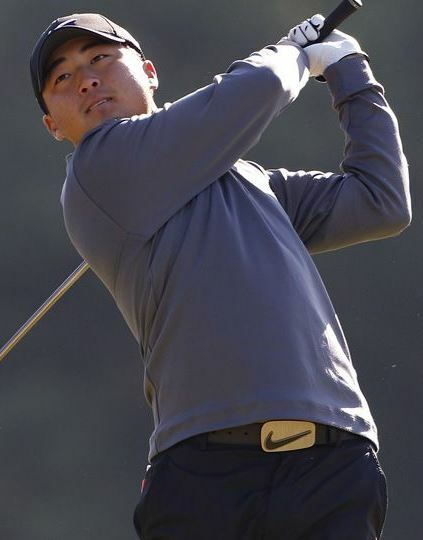 Richard 's Wikipedia entry Richard's profile with Nike Golf Richard's real time World Golf Ranking profile Richard Lee attended Hamilton High School where he played golf. He earned a spot at the 2007 US Open, and became the second youngest golfer to ever participate in that event. Richard suffered a wrist injury during the Open, and was forced to withdraw from the tournament after posting a +20. As soon as the event concluded he turned pro. He has competed on the Nationwide Tour, the OneAsia Tour, and the Asian Tour. Richard won his first tournament, the Solaire Open, on the Asia Tour in March 2014, and was at the top of the money leaders to start the 2014 season. He set a tournament record for fewest strokes at the 2014 Solaire. *Reflects only tournaments with position of Top 10 or better. /body/div/@style: nothing ⇒ "margin-left: 40px;"
Richard Lee attended Hamilton High School where he played golf. He earned a spot at the 2007 US Open, and became the second youngest golfer to ever participate in that event. Richard suffered a wrist injury during the Open, and was forced to withdraw from the tournament after posting a +20. As soon as the event concluded he turned pro. He has competed on the Nationwide Tour, the OneAsia Tour, and the Asian Tour. Richard won his first tournament, the Solaire Open, on the Asia Tour in March 2014, and was at the top of the money leaders to start the 2014 season. He set a tournament record for fewest strokes at the 2014 Solaire.